In the small Irish town of Ballymoran, the Cassidy family finds a red leather clad man passed out on their living room floor. The logical conclusion that they come to is that he must be an alien. When the alcoholic rehab escapee awakens, he continues the ruse and passes himself off as Zonad, an alien who has landed on their planet. 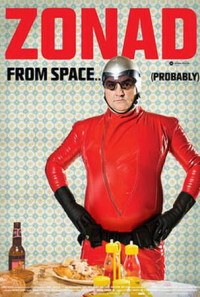 Life is grand for Zonad as he becomes an instant celebrity who gets free beer, a nice house, and lots and lots of women throwing themselves at him. But when a town resident becomes suspicious and fellow rehab-escapee-turned-alien, Bonad, shows up, Zonad may not be able to continue living the charmed life. Regions are unavailable for this movie. Click the "Watch on Netflix" button to find out if Zonad is playing in your country.